Are your hands in water, chemicals, dust or any harsh environment much of the time? Do you wear silicon gloves? 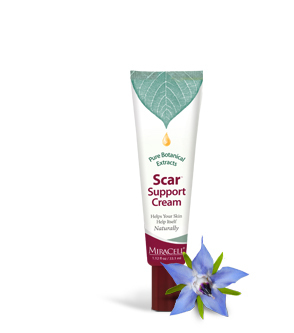 Get the skin relief you so desperately need. 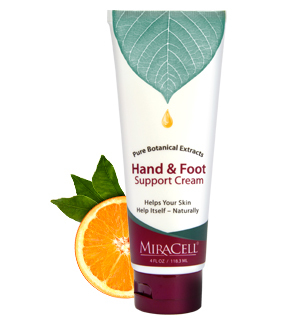 Hand & Foot Support Cream soothes, protects, relieves and renews dry, irritated, rough dry skin patches including hands, heels, knees, elbows and feet. It protects working hands constantly exposed to irritants at home, at work and in nature including chemicals, latex gloves, soaps, heavy water exposure and more. 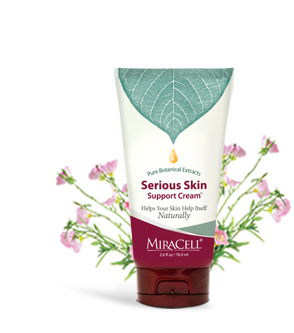 Anyone who wants to replace painful, rough skin with comfortable skin will love this cream. It is amazing on dry, cracked heels. The cream is concentrated, so smaller amounts at more frequent internals are more efficient. If you have some white cream on your skin after applying it, you’re probably using more than necessary. 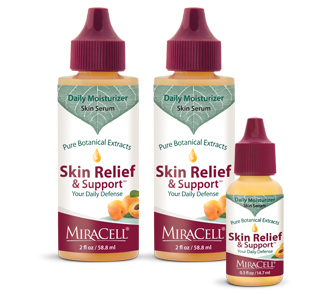 You may also get better results by using Skin Relief & Support at the same time. Product may be used as often as necessary without concern. Directions: For best results apply a small amount on hands and feet as often as needed for both immediate and lasting relief. Apply daily to protect your hands from constant exposure to irritants at work, home or in the environment. Use each evening because your skin renews itself while you sleep. 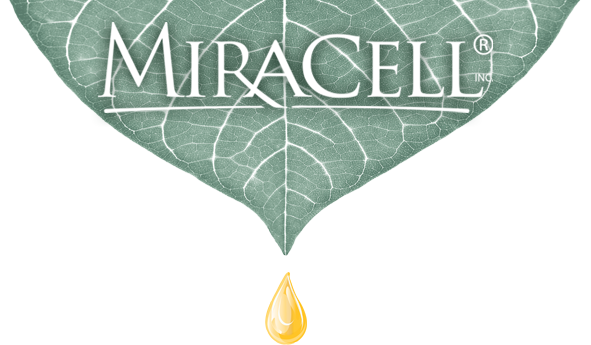 Safe, gentle and effective for all ages. Absorbs quickly. External use only. My little ones for whatever reason have cracked dry feet. This is absolutely amazing for them! Especially my tiny dancer. She would have to stop dancing due to the cracks opening up. We put this on at night and by morning her feet look amazing! Thank you so much for this wonderful product! I bought this at a boutique show and didn’t use it for a while. Now I use it after every shower on my legs. I wear compression hose and my legs are so dry. When I take my stockings off, my legs are covered with white, dry skin. Or they were. Now they are lovely and smooth. My feet, too. Thank you for this product. I love it.